Note: This was originally written as an academic research paper. I'm copying the full text onto this blog for posterity's sake, given the relative obscurity this topic enjoys in the West. I wrote this in the hopes that some of my fellow westerners might see the Chinese Communist Party for what it is, rather than what they portray abroad. The title of this essay is taken from a beautiful poem titled "Spring View" (春望) written by the inestimable poet Du Fu, who lived and wrote during the Tang Dynasty. The poem can be seen in its translated form here. Over the course of its relatively short history, the Communist Party of China has inflicted suffering on its own people the likes of which the Meiji Restoration’s Imperial Japan could have never managed. 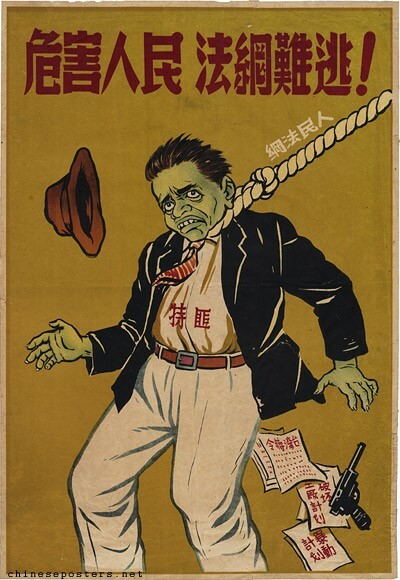 During the Second Sino-Japanese War, an estimated 17,000,000 to 22,000,000 Chinese civilians were killed, along with 3,800,000 to 10,600,000 military deaths. These numbers, while staggering, are eclipsed by a single event after the successful ascension of Mao Zedong to power as the Communist Party of China took control of the Middle Kingdom. Speaking with middle aged Chinese parents today, one can get the sense that they realize things were once bad for their nation; one also gets the sense that, whether through willing disbelief or true ignorance of fact, they do not know what their own government has done to them. In a broad sense, I wish this paper to be an exploration of the pain suffered by those who have lived under the thumb of the Communist Party of China. For many, they can never speak out regarding the horrors they suffered. For those who have died due to the direct action or inept mishandling of the Communist Party of China, it is imperative that historians, social scientists, politicians and all others capable of speaking out not let the Party sweep its crimes under the rug of history. In a more focused sense, I will be examining a few major events that have occurred during the infancy of the People’s Republic of China. This examination will follow a similar pattern for each event: I will identify the major actors that are involved in the perpetration of the event, the dates during which the event occurred, the main victims of the event, any statistics available regarding the event, and a brief summary of how the event itself was handled both before and after. The paper will be broken into two sections, with an introductory overview of the events to be examined. As time has gone on with the party, the prevalence of mass killing has faded, while more subtle methods have been introduced to control the people of China. Beginning with Mao Zedong, we will see the ham-fisted management of one of history’s greatest human rights violators, murderers, and despots. This section will comprise the bulk of the paper and will look at a selection of events that occurred under Mao. Examinations of the systemic efforts to hide the atrocities committed by their predecessors will be looked at in the second section. In terms of data for the paper, I will be attempting to compile both high and low estimates into one database for the various events I will address. In addition to that, I will compile a selection of government messaging and propaganda regarding the events – though not an exhaustive one, as this is not feasible given the length and breadth that some of the campaigns encompassed. Before beginning in earnest, it is necessary to adopt a simple definition of what type of event I will be studying. I will be looking at four different campaigns taken under Mao’s tenure. I have chosen these four due to their relative importance in the scheme of Mao’s leadership, though that should not suggest the others do not matter or there are not many of them. This, along with lowering the total number of events to be examined, will stop the narrative from grinding to a halt over the countless executions of supposed criminals, many of them political dissidents, that have occurred in a trickle or stream over the years. In this paper, I wish to look at the torrential downpours of destruction only. This relies on my supposition that, beyond the explicit murder of young men and women vying for democracy during the June Fourth Incident, the Party has learned after Mao that acts of mass murder were less than palatable and left a mess that required great effort to cover up. I should quickly note that in defining the totals killed, I have taken R.J. Rummel’s democide as a jumping-off point. Rummel defines democide as the intentional killing of unarmed or disarmed peoples by government agents acting in their official capacity pursuing either a government policy or command. This definition, which is much broader than many definitions of genocide, allows for intentional acts that lead to unexpected outcomes – for example, mass famines – to be included in any calculations of death totals. There is academic criticism of this method, but I would argue that this is one of the best possible definitions to encapsulate the staggering number of dead that the Party has stacked up. In fact, this definition is used by Rummel in his work China’s Bloody Century to derive figures from historical accounts in a much more holistic way than others. In advance, I ask the reader’s forgiveness if the work seems to have been too light in some areas or too heavy in others – as with any attempt to weave a narrative over a historical timeframe, these things rely on the writer’s skill or lack thereof. In this first section I will give an overview of the major events which will be considered in this paper. The following is a timeline that shows the major events that I will be describing, along with data on the total number killed during the events. As I said previously, these figures are estimates and thus will be presented with both a low and high end. Sources for all the figures are described in the paper. As mentioned before, I have not included every single event in my work, as this is simply impossible given the vast number of state-sanctioned killings and imprisonments that have occurred and are occurring under the Party’s direct supervision. Figure 1: Sources for estimated deaths is provided in the following pages. While larger or smaller figures can be found, I selected the most credible low and high estimates rather than simply the largest and smallest available. 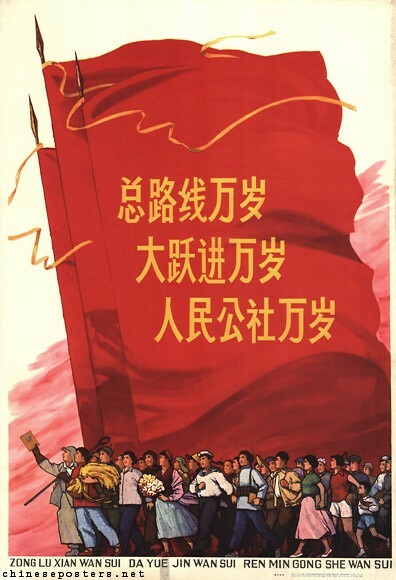 Figure 2: "Land Reform in the whole nation is already basically accomplished - the great achievements of three years People's Republic of China"
Mao oversaw China’s most violent and devastating campaigns. This paper will briefly explore a few, though there is simply not enough space to explore each at the level it deserves. To keep things simple, I will give an overview of each of the named campaigns along with figures that could be found regarding the number of dead or imprisoned, along with sourcing for each. Mao Zedong himself, when looking back on the initial Land Reform Campaign which lasted from 1947 through 1952 with a legal start date of June 30, 1950, remarked that 700,000 counterrevolutionaries and class enemies had been executed during the simultaneous Land Reform Campaign and Campaign to Suppress Counterrevolutionaries. These numbers are questionable at best, though the high estimates are even more so. Fung Hoichiu, who was the Secretary General of Hong Kong/Kowloon Trades Union Council, stated that his sources estimated the death total at around 20,000,000 total. Rummel puts the figures at closer to between 3,000,000 and 4,500,000 total dead once all is said and done during the first Land Reform Campaign. When looking at the totality of Mao’s campaign against landlords beginning in 1947 until Mao’s grip on power ended with his death in 1976, between 13,500,000 and 14,250,000 total deaths related to class-based persecution occurred according to Harry Wu. … agrarian reform cut a bloody swath through much of rural China. Squads of Communist enforcers were sent to the most remote villages to organize the local petty thieves and bandits into so-called land reform teams, which inflamed the poor peasants and hired laborers against the rich. When resentment reached fever pitch, peasants at staged "grievance meetings" were encouraged to relate the injustices and insults they had suffered, both real and imagined, at the hands of "the landlord bullies." Often these meetings would end with the masses, led by the land reform teams, shouting "Shoot him! Shoot him!" or "Kill! Kill! Kill!" The cadre in charge of proceedings would rule that the landlords had committed serious crimes, sentence them to death, and order that they be taken away and eliminated immediately. Roving bands of peasants, or dispossessed youth killing those they deem to be anti-Party or anti-people, is a common theme in the Party’s bloody early history. Harry Wu, in his Classicide in Communist China, notes that by 1976 up to 90% of all landlords had been executed, effectively destroying an entire class within the nation. By the official end of Land Reform – when it was declared successful in 1953 – around forty percent of the land had been forcibly stolen from the gentry class. Once the gongs and drums of resisting the United States and assisting Korea begin to make a deafening sound, the gongs and drums of the land reform and suppression of counter-revolutionaries become barely audible, and the latter becomes much easier to implement. Without the loud gongs and drums of resisting the United States and assisting Korea, those of the land reform and zhenfan would make unbearable noise. Here a landlord is killed and there another is beaten; there would be fuss everywhere. At such meetings, the “criminals”—alleged “counterrevolutionaries”—might be penned up at the center of the field, near a rostrum. After an announcement that the meeting was now open, one of the accused “counterrevolutionaries” might then be hauled onto a rostrum by soldiers and forced to kneel before the crowd. A public official, possibly the mayor, might then recite the “counterrevolutionary” activities of the “criminal” or a complainant would make his case against the accused, after which the crowd would be encouraged to roar, curse and shout things like “Kill him,” “Shoot the beast.” Then the verdict of death would be announced. Hearing this, the crowd might then roar “Long Live the CCP!”; “Long Live the Victory of the Revolution!” Each of the “counterrevolutionaries” would be similarly tried and condemned. Total estimates range from the official figure of 712,000 executions to 2,000,000. These numbers are again staggering, as is the lack of knowledge in the West of their very existence. This was just the first of the political purges undertaken by Party officials, and not even the last to be performed by Mao and his direct subordinates. A similar purge, the Sufan movement, was aimed at those inside the party and may have claimed another 700,000 lives. Between the Land Reform and the Campaign to Suppress Counterrevolutionaries, a lowest possible estimate of those killed is fielded by a team of scholars working on The Black Book of Communism – at the very least, 1,000,000 people were killed given the necessity of at least one enemy per village, while the highest estimate they suggest for the period from 1947 to 1953 is around 15,000,000. The deadliest event in modern Chinese history was the Great Leap Forward. Estimates are almost impossible to make of the exact total given the overwhelming effort by government officials to cover up the catastrophic results that happened as a result of Mao’s failed attempts at collectivization and industrialization. Today in China, students are taught not about the Great Famine, but instead about the Three Years of Natural Disaster. The name alone gives enough explanation as to what they intend, shirking the responsibility of those in charge – Mao foremost among them – for failing in such a monstrous way. While it is true that several factors conspired to bring about this event, the crucial piece was indeed the leadership’s decision to pursue a type of collectivization that ruined the economic productive capabilities of a nation for many years, leaving those most vulnerable members of society exposed and even more destitute than they had been originally. Stories of cannibalism, infanticide, and extreme physical and mental duress abound during the Great Leap Forward. Figure 5: "Long live the General Line! Long live the Great Leap Forward! Long live the People's Communes!" The lowest figures, in terms of total deaths and population loss, come to 23,000,000. The highest estimates put the total famine deaths at 53,330,000. The massive variance can be attributed to a few things: first, the officials who oversaw the villages, towns, cities and provinces were under great pressure to show that Mao’s Great Leap Forward was a success. Second, people would often underreport the number of dead in an attempt to continue collecting social security for the deceased. It is not possible for me to properly encapsulate the amount of suffering experienced by those who went through this time of mass collectivization, nor do I want to tarnish the seriousness of the topic by doing so in an academic essay. Suffice it to say that this famine was the single deadliest man-made disaster in all of history. The last of the events that will be examined during Mao’s tenure is that of the Cultural Revolution, or more officially titled the Great Proletarian Cultural Revolution. This event lasted far longer than the others, spanning from 1966 until 1976. Given the scope and detail that one could give to this time period alone, it is impossible for me to properly encapsulate the spirit and actions that took place during this ten-year period. To suggest that it began from Mao’s fear that he was losing power would be an oversimplification; to delve too deeply into the supposed roots given by official accounts would be to give too much credence to any Party narrative. Even determinations of the total dead, while usually difficult given the active attempts to cover up failures by Party officials and inconsistent record keeping from villages, towns and cities, are more confused here than anywhere else. In the decades after the Cultural Revolution, much effort would be spent in hiding the truth of what happened. The total dead from the Cultural Revolution is far below that of the Great Leap Forward, although the damage to Chinese history and culture is incalculably higher. While on the low end some estimates suggest that only 750,000 people were killed, higher estimates go as far as to suggest 3,000,000 were killed during the cultural revolution. The authors of Mao’s Last Revolution suggest that 36,000,000 people were persecuted during the Cultural Revolution. 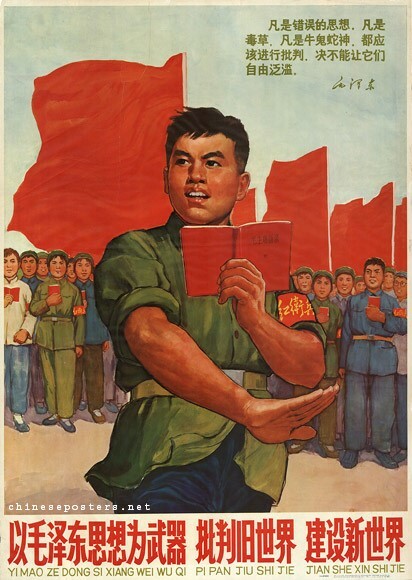 Figure 6: "Criticize the old world and build a new world with Mao Zedong thought as a weapon"
In total, a bare minimum can be established from the figures I have cobbled together – in these four events alone, Mao directed policies that would lead to the deaths of between 25,162,000 people at the low end and 72,580,000 at the high end. This can by no means be taken as definitive, as the prospect of properly calculating the total number of deaths in the face of a systemic effort to hide such figures is nearly impossible. Add to that the lackluster – and sometimes completely nonexistent – systems of bookkeeping in rural areas of China, and the true extent of Mao’s devastation on the Chinese people will likely never be known. As Yang Jisheng found while reporting on the effects of the Great Leap Forward, there still exists a large effort even in the lower reaches of the Chinese political world to obfuscate the damage caused by Mao and his failed policies. Another impossibility is determining how much of this should be attributed to malice, incompetence, or bad luck. While the Chinese government itself will claim that the Great Famine was greatly driven by drought and natural disaster, outside observers are quick to point out the massive economic and social disruption brought about by the movement of huge numbers of people, both in terms of physical location and change in profession forced upon them by collectivization. Again, any attempts to split the natural from the manmade here are doomed for failure given the Party’s inimical footing towards those looking to investigate their past actions. In the face of such an adversary and so many dead and persecuted, one can only hope that history does not repeat itself. Immediately following the death of Mao, efforts to hide his true face from the Chinese people began. In 1981, the Party published the Resolution on CPC History. In it, they play a trick of intellectual sophistry by dividing Mao in half. Mao Zedong Thought, an “intellectual” theory so deeply enshrined in the party as to be inseparable without the death of the Party itself, is cut away from Mao Zedong the man. The Party claims, in no uncertain terms, that the actions taken by Mao from 1966 to 1976 show a failure by Mao Zedong to live up to Mao Zedong Thought. Further, they blame the worst excesses of the Cultural Revolution on Lin Biao and Jiang Qiang, two disgraced former high-ranking officials. This obviates the fact that the Cultural Revolution was dreamed up by an aging Mao afraid that his power was going to be removed by the very Party he had helped to solidify. 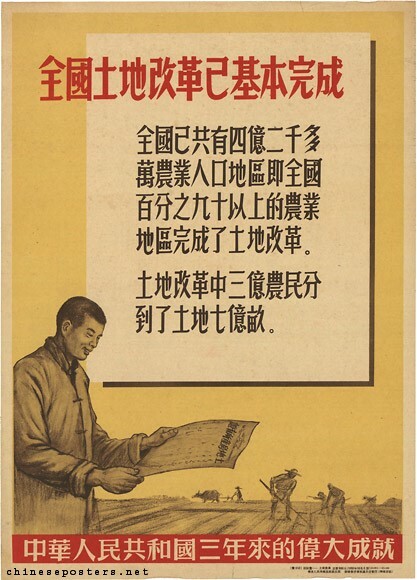 While discussing the Great Leap Forward, the Party carefully describes how in the aftermath of the worst famine in history the Party took time to self-criticize and examine the good and the bad that came from the deadliest event in Chinese history. To suggest that there is both good and bad to be found in the Great Leap Forward is, without a doubt, a level of cold revisionism that would warm the hearts of the most fervent holocaust deniers today. Discussing the Anti-Rightist campaigns, the party first praises the steps taken to root out the bourgeoisie infiltrators, while only noting that “the scope of this struggle was made far too broad and a number of intellectuals, patriotic people and Party cadres were unjustifiably labelled “Rightists", with unfortunate consequences.” Unfortunate consequences, in this case, amounted to between 712,000 and 2,000,000 deaths. In passing, I will note an unassuming sentence from Yang Jisheng’s Tombstone. While collecting provincial-level data on the number of dead from the Great Leap Forward, he suggested that his “inquiries uncovered cases of provincial leaders from the famine years continuing the interfere with mortality figures in the 1980s.” The efforts to hide the various failures of the Party began immediately and continue to this day. The Resolution on CPC History was authored while Deng Xiaoping was leading the Party and nation. While many consider him a great liberalizer of markets and politics in general, it must be remembered the role he played in both the censorship of Chinese history and his own direct role in the Tiananmen Square Massacre, known in China as the June Fourth Incident. A group of mostly college students, rallying in the fashion of their parents and grandparents for social change, were gunned down by military and police forces. 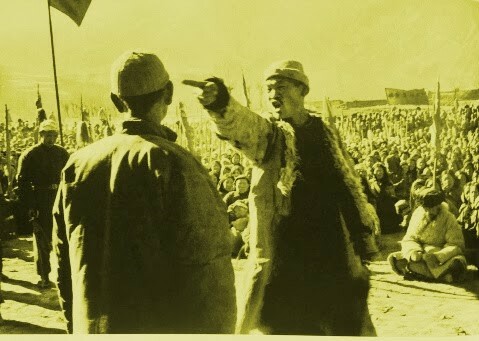 Deng Xiaoping directly ordered these actions to be taken against the students. While the official accounting of the event states that around 1,000 civilians were killed, a secret British cable that was recently reported on suggests that number may be closer to 10,000. Horrifying details are revealed in the British cables, including the descriptions of female student protestors being bayoneted as they begged for their lives, pieces of the dead being hosed into the drains in the aftermath, and mothers being shot to death as they attempted to help their injured children. After the first wave of killing, government officials told around 1,000 protestors that they could leave the scene. A hidden machine gun encampment mowed them all down in a preplanned secondary massacre. This event, taking place more than a decade after the events of the Cultural Revolution, were shocking and horrifying to all those who witnessed them. The horror of the situation extended to those in charge, with General Xu Qinxian being forced to resign after refusing Deng Xiaoping’s order to use force on unarmed civilian protestors. According to the above British cables, twenty-seven army officers were shot by their own soldiers for refusing to kill the civilians, with the soldiers explaining that they themselves would have been killed if they had not killed their insubordinate officers. I bring this up to make clear that nothing has fundamentally changed about the Party’s willingness to use violence. What has changed is their skill at hiding their past and present crimes. The protestors in Tiananmen Square truly believed that their government, which had previously made mistakes, had their best interests at heart. Regardless of what had happened in the past, official communications by the Party suggested that any prior failures were due not to malice, but incompetence. Protestors believed that they could achieve their goals by using their voices; they learned, in the most terrible way, that this would not be accepted. June Fourth Incident is a banned topic online, in books, and in classrooms. Tiananmen Square Protests is a banned term. Both 63+1 and 65-1 are banned terms, as each equal 64. Any discussion of or gathering regarding the massacre is banned. In fact, one will find that much regarding the dark past of China is banned within China. As I mentioned in the beginning of this essay, children are still taught the twisted Party historical account; instead of massive failure on the party of the Party and Mao, young students learn of the Three Years of Great Famine, where nature conspired to ruin the glorious path of Mao’s collectivization and industrialization towards Communism. Instead of a desperate attempt to retain power in the face of his old age and likely failing health that lead to mass death and persecution and the destruction of Chinese culture, the Cultural Revolution is painted as a misguided effort by a wartime Chinese leader working during a time of peace. I will not attempt to fully explain the level of effort expended by the Party to cover up and change history. Suffice it to say that an endless sum is spent on the task along with the intellectual work of countless people. Hopefully, I have succeeded at giving a small glimpse into this. This brief examination that looks at bits and pieces of China’s history has been deeply affecting. On a human level, it is impossible to conceive the number killed in the Party’s short history. The ripples of those deaths – friends, family, and the society as a whole – still run through China today. All the time and effort spent by the Party to hide their blatant and excessive abuses on their citizens cannot hide these things completely, even with the unchecked power of the most powerful single-party state on earth. They may have successfully hidden exact numbers, but the sheer volume of silenced voices is too loud to be kept quiet. My only hope for the people of China, who have suffered more than any will ever fully know, is that they can one day find a government that works for rather than against them. For now, their government actively suppresses their thoughts, their history, their culture, and their dead. I will not pretend that I am an unbiased observer of the situation. It is impossible to be an unbiased observer when facing a monstrous leviathan that has chewed up tens of millions of its own people. As I suggested in the introduction, this essay was neither comprehensive nor capable of getting every detail correct. On the first point, I have neither the time nor expertise to craft a comprehensive accounting of the various campaigns carried out by the Party. On the second, the Party’s work obfuscating the numbers makes any accounting of the dead or persecuted an exercise in estimates. As above, I can only hope that my effort sheds some light for those who do not know the Party. With China solidly set as a major power in the world, it is more important now than ever before that the world knows who they are and what they have done. Clodfelter, Michael. "Warfare and Armed Conflicts: A Statistical Reference", Vol. 2, pp. 956. R. J. Rummel. “China's Bloody Century”. Transaction, 1991. Rousset, David. “White Book on Forced Labour and Concentration Camps in the People’s Republic of China I: The Hearings”. International Commission Against Concentrationist Regimes, 1956. Wu, Harry. “Classicide in Communist China.” Comparative Civilizations Review, 2012. Guillermaz, Jacques. “The Chinese Communist Party in Power 1949–1976”. Translated by Anne Destenay. Westview Press, 1976. Kuisong, Yang. “Reconsidering the Campaign to Suppress Counterrevolutionaries”. The China Quarterly, 2008. Changyu, Li. “Mao’s ‘Killing Quotas’”. Advancing Social Justice, 2005. Werth et. al. “The Black Book of Communism”. Harvard University Press, 1997. Jisheng, Yang. “Tombstone: The Great Chinese Famine 1958-1962”. Farrar, Straus and Giroux, 2012. MacFarquhar and Schoenals. “Mao’s Last Revolution”. Harvard University Press, 2008. Chang et. al. “Mao: The Unknown Story”. Jonathan Cape, 2005. The Communist Party of China. “Resolution on CPC History”. 1981. Lusher, Adam. “At least 10,000 people died in Tiananmen Square Massacre, secret British cable from the time alleged”. The Independent, 2017. Gordon, Richard and Hinton, Carma. “The Gate of Heavenly Peace”. Documentary Film, 1995. Engel, Pamela. “94 search terms that China bans because of Tiananmen Square”. Business Insider, 2014. Ser, Kuang. “How China has censored words relating to the Tiananmen Square anniversary”. PRI, 2016. Other sources claim higher numbers, but do not provide any sourcing whatsoever for their claims. See, for example, this interview with Merrill Goldman at the Holocaust Museum.